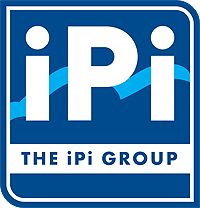 The iPi Group is ever expanding upon its very significant portfolio of property; from the early developments of warehousing, a lodge, retail outlets and various residential properties in Porgera to sizeable warehousing developments in Lae, including what we believe is the largest single warehouse in the country at 7,896m2 under roof, to commercial workshops and warehouses and residential development across the Lae market. In more recent times the iPi group has turned its hand to the Port Moresby market, starting with a multi million kina development at the top of Touaguba Hill, the iPi Villas, to more recently again the K60Million February 2016 completion of the iconic iPi on Airvos development. This seven storey landmark complex was designed by award winning architects and sets a bench mark in the Port Moresby market for residential quality, standard of finish, security and with inclusions like air-conditioned gym and yoga room, vanishing edge swimming pool and attached BBQ and recreational areas, quite massive balconies with expansive views, high end furnishing, extensive landscaping and a perfect position overlooking the Fairfax harbour it really is the yardstick upon which residential development in Port Moresby is now measured. Post the Airvos completion, the iPi Group has immediately moved into its third major Port Moresby residential development with a 10 apartment complex at Ugava Street opposite the Australian High Commission scheduled to break ground in April. The iPi Group owns a large land bank for future developments including over 138 Hectares in Lae, and a beautifully positioned lagoon side development property in Madang. CEO Scott O’Reilly says that while the core focus of the iPi Group is certainly not on bricks and mortar development, that he is none the less proud of the achievements of the Group in recent years of having been able to turn the surplus of operating business into long term sustainable property investments, which incorporates both commercial and residential investments. O’Reilly says that the diversification of the iPi Group is a major strength and positioning the Group to ride out downturn in the business cycles of some sectors, for example the current experiences of the mining sector, by turning to investments in other areas has been a strategic focus of his and a purposeful intent over a considerable timeframe.